The CANM8 CANNECT PULSE is a CAN Bus interface designed to provide a square pulsed speed signal output from vehicles which feature CAN Bus wiring. Speed Signal > 12v square pulsed output at approximately 1 pulse per 1 MPH. N.B. Also available with speed signal output at frequencies of 4 Hz or 10 Hz. 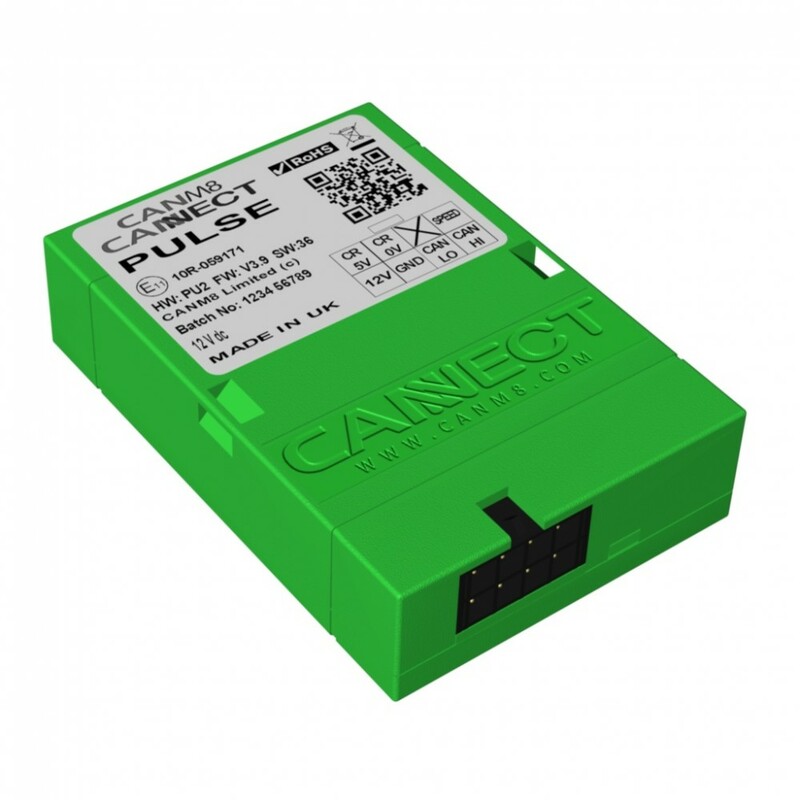 The CANM8 CANNECT PULSE is most commonly used to provide a speed signal for taxi meter installation via the CAN Bus system, this interface is the speed pulse interface of choice amongst taxi meter installers around the globe. GREEN > Speed Signal Output : 12v pulsing (1 Hz = 1 MPH approx).